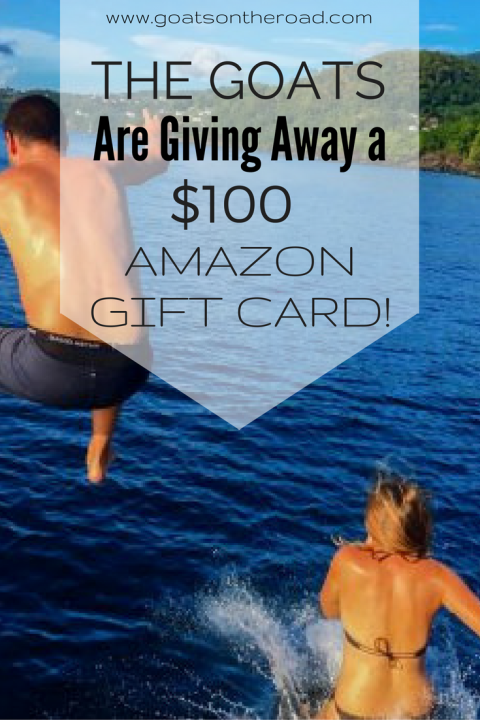 The Goats Are Giving Away a $100 Amazon Gift Card! 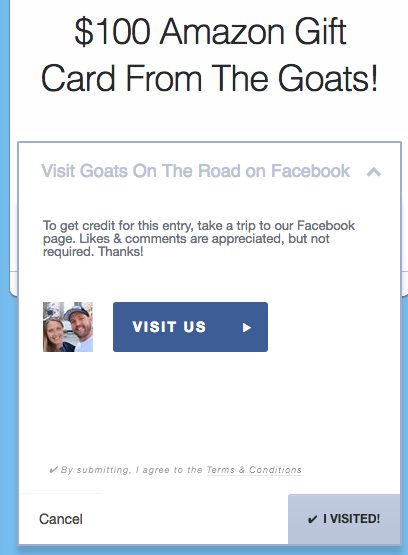 Goats on the Road Posts » Travel Blogs » The Goats Are Giving Away a $100 Amazon Gift Card! There have been quite a few giveaways on our website lately, but they were mostly geared towards just our readers from the USA! We’ve been feeling really bad about excluding all of our other amazing readers from all corners of the globe, so we decided to create a giveaway for anyone, from any country. 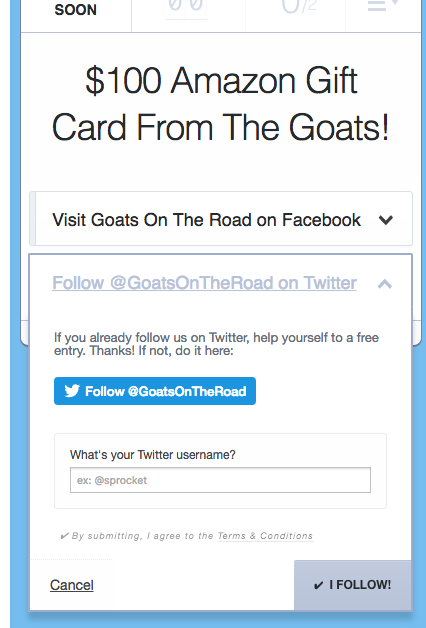 We are personally (out of our own pockets) giving away a $100 USD gift card from Amazon as a thank you for following us this year 🙂 Without you, there would be no Goats On The Road! The contest will run from December 14th – December 29th (2 weeks). 1. Visit us on Facebook and “like” our page, or comment on a post that we’ve recently shared there.